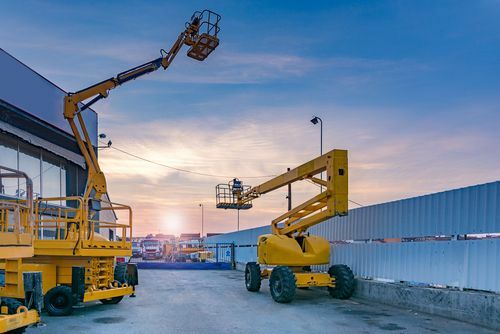 Boom lifts, part of the Aerial Elevated Work Platform (AEWP) category, are extremely helpful in gaining access to hard-to-reach places for jobs such as maintenance, construction, and emergency response. 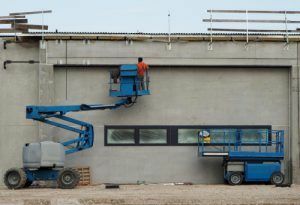 In Canada, proper training and authorization are required to operate a boom lift. Safety precautions that need to be taken in order for boom lift operation to be run smoothly. 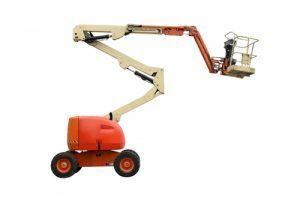 If your company operates boom lifts or will be working with a boom lift in the near future, here are seven tips for working on or around them safely. 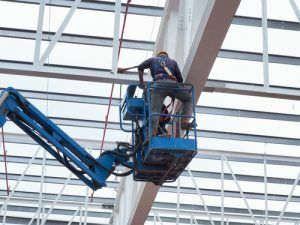 Whether operating the boom lift yourself or working nearby, employees must pay attention to avoid any accidents. Much like driving a truck or a car, running a boom lift requires attention to what’s going on all around. For example, if operating a boom lift in the proximity of hydro lines, one must be aware of the lines and take extreme caution to prevent electrocution (in this instance a 3-metre (10-ft) gap between the machine and the lines. Most boom lifts are equipped with overweight sensors and will not raise up if you exceed the safe limit. If there is no overweight sensor, overloading can cause the platform to tip. Taking smaller loads (under the stated weight limit on the machine) is preferable, even if it means a few extra trips. If you are authorized to inspect the machine, check that all parts are working properly and that the lift has enough power before it is used. Also, check for any leaks and deal with them accordingly. If the lift is not properly inspected, malfunction can occur. All boom lifts are equipped with an emergency stop button; you never want to have to use it, but it can come in handy to prevent accidents caused by malfunction. To avoid falling off the platform, wear a harness and secure it to the guard rail. The guard rail is designed to keep you inside the platform, but in the event of strong winds or lift malfunction, wearing a harness can save your life. Unless there is an emergency or the occupant’s controls are not working, always allow the occupant full control of the lift. Trying to use two different controls at once can lead to machine malfunction or accident. If you are working below the lift, always be aware of objects (this includes tools, equipment, and debris) that may fall to the ground. Listen for any warnings from the lift’s operator and react quickly to avoid being hit if you are in the object’s trajectory. 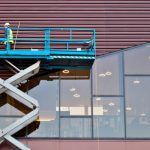 Remember, in addition to the tips provided here, it is vital that government and manufacturer safety standards be followed at all times when operating a boom lift. 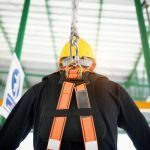 With the various safety requirements for operating boom lifts, it’s important to be in adherence to ensure proper prevention and ongoing safety in your workplace. Advanced Consulting & Training have amassed years of expertise in boom lifts, offering training programs as well as site consulting. Contact us today to find out how we can help you operate boom lifts with the utmost of safety in mind.